If you sell products online, your product page should be one of the main things you pay attention to. A powerful product page can make the difference between gaining that all important sale or losing a valuable potential customer. This is because a product page is the final point at which a customer either decides to buy your product or look elsewhere. 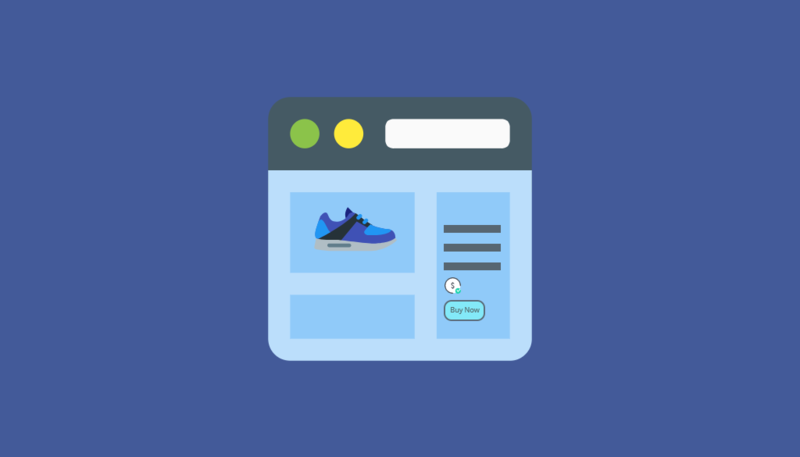 For this reason, your product pages need to capture the users’ attention and provide them with everything they may need to know before purchasing. 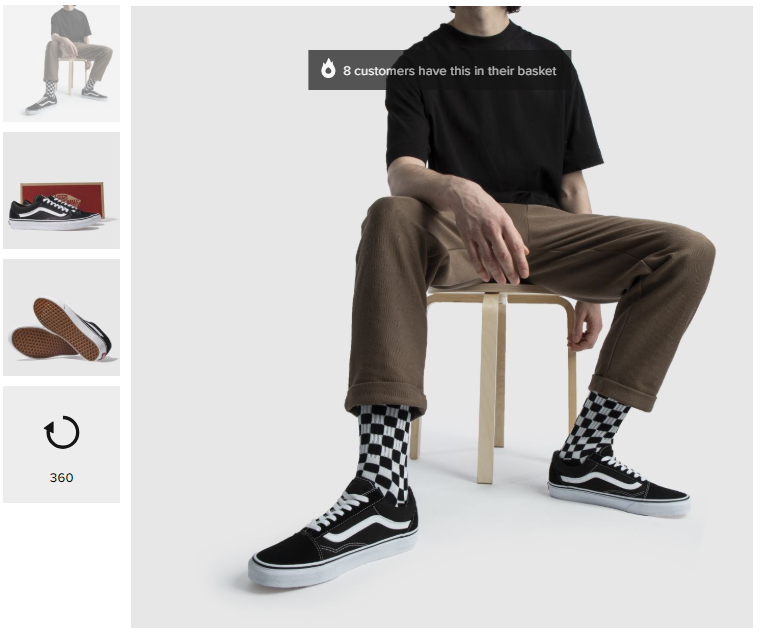 Throughout this how-to guide, we are going to take a look at the important features of a product page so you can turn your next visitor into a customer! The problem many E-commerce websites face today is the fact that we, as humans, have a ridiculously short attention span. In fact, the attention span of the notoriously forgetful goldfish sits at 9 seconds. Our attention span has now dropped to a shocking 8 seconds! For this reason, when a user visits your product page, you need to spark their interest immediately. The way in which you do this is to display information such as; description, product images, price and a clear add to cart button above the fold. Above the fold means the first part of a webpage that is in full view before a user has to scroll. You should also bear in mind that most people instinctively read from left to right. So, it might be a good idea to lay out your product page with the most important content on the left-hand side. This will rely heavily on the product you are selling. 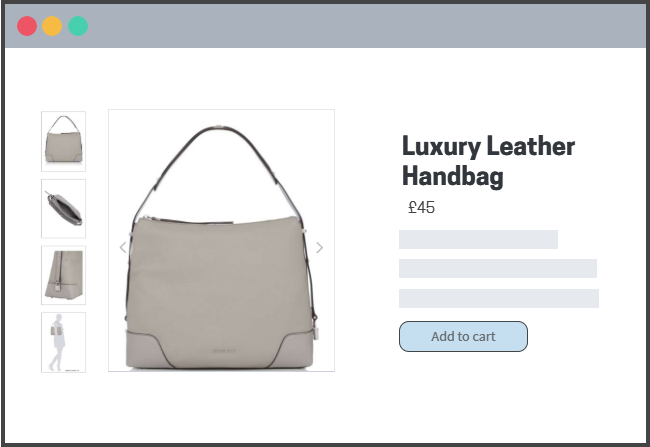 For example, if you are selling a handbag, most likely the most valuable content on your product page will be your pictures. So, you may wish to have your product pictures situated on the left side of the webpage to really grab their attention. Take a look below to clarify what we mean. Perhaps you have a product where the description and the product name is the most valuable content. Say, for example, you sell diving watches online. It might be worth having the name of the product on the left-hand side of the product page. This is due to the fact that with a product like a diving watch, the brand of the watch and waterproof depth are very important considerations when purchasing. Whereas with the handbag example, the way the bag looks is the most important. 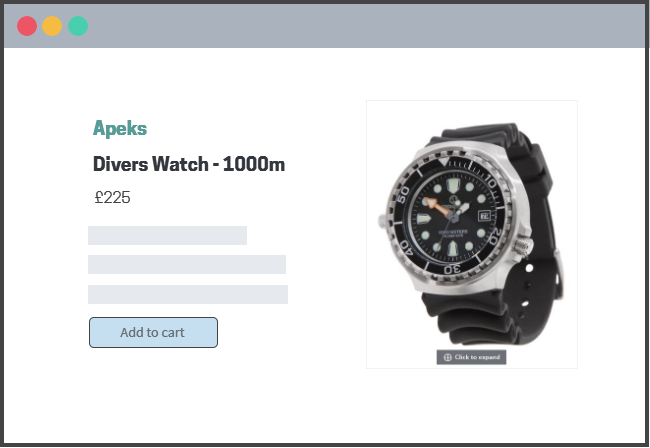 Sticking with our diving watch example, your product pages may follow a layout like this. Let’s move on and take a look at each of the features of a product page in more detail so you can create a cracking product page for your own website! One of the most important aspects of your product page is the product description. 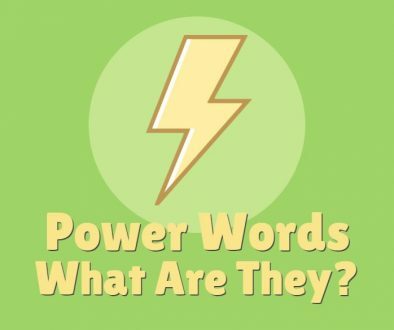 It must be well written and clearly state exactly what you’re selling and why your potential customers need the product! As with every aspect of your website, your product description should be on brand and relate to your target audience. We’ve also got a few more things to bear in mind when it comes to your product description. You should get straight to the point when it comes to your product description. Chances are people are going to be scanning your product page to sift through and find the information they are looking for. As an example, say you are looking to purchase a smart television. More specifically a 47” Full HD smart television. You are going to search 47” smart television, go to a product page and scan read until you see the description to confirm that the product is what you are looking for. Make this process as easy as you can for your potential customers. You could perhaps even consider using bullet points to highlight the most important features the product you are selling. Remember, you don’t need to include every single piece of information about the product above the fold. You can include more detailed descriptions about each of your products further down the page. What you should aim to do with your product description is to tell the potential buyer everything they could possibly want to know about the product. Naturally, they will have many questions about the product before they part with their cash. Say for example you sell clothing online. Each of your product pages should answer common questions such as the type of material the clothing is made out of, where the product was made and things such as the return policy of the item of clothing. If you think about your own online shopping experience, chances are you rely heavily on how good the product looks in the images. Your target audience will do the same. It’s been found that 92% of shoppers think visuals are the biggest factor when it comes to deciding whether to purchase a product. That stat alone shows how important it is that you have high-quality images to show off your products and their features. For this reason, we’ve come up with a few tips to bear in mind when it comes to your product images. There are many reasons for including multiple images on your product page. It’s been found that over 70% of people want to see at least 3 images of a product when deciding whether or not to purchase. For this reason, you should provide your potential customers with multiple images of your product. At the very least you should have 3 images! Think about it, when purchasing products online we don’t physically interact with the product before purchase. In other words, we don’t get a ‘feel’ for them. Images are a great way to fill in the void and give your potential customers an idea about your product. Remember, you don’t need to be a master photographer to take quality images of your products. Most smartphones have pretty good cameras and editing tools these days. If you don’t feel confident taking your own product images, hire a professional to take and edit the photos for you. As well as multiple images, you want to make sure that you are taking pictures of your product from multiple angles. Your potential customers want to be able to analyse in detail what they are going to buy. Covering every angle of your product is the only way to achieve this. It’s also worth thinking about 360-degree images. You will have most likely seen these for yourself. They are a picture of a product that you can swipe or click to play an animation. This then spins the product so you can get a good look from all angles. We’ve provided an example below to give you an idea of what we mean. Although these types of product images are most commonly found on clothing Ecommerce stores. You should consider them regardless of what you’re selling. Mobile phone case? Show it with a smartphone in it. Headphones? Show an image of someone wearing the headphones. ‘Real life’ images of your products in action can go a long way so bear this in mind when thinking about your own product images. We’ve covered the fundamentals of a great product page, from product page structure to images. 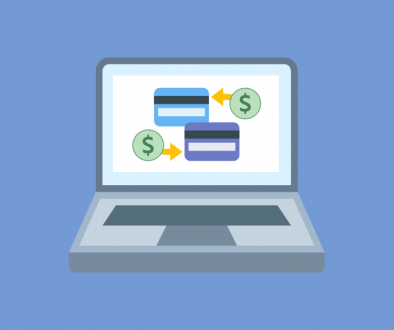 Now it’s time to look at a few other things you should be considering when it comes to creating a product page that converts. As well as the other components that we’ve spoken about in this article, it is crucial you have a CTA button. This is a massive aid when it comes to getting your visitors to carry out the desired action. In this case, the desired action would be adding your product to the cart and purchasing your product. There are a few things that you need to consider when creating your CTA button. First of all, your CTA button needs to be easy to find. It also needs to stand out from the rest of your content to grab the attention of your potential customers. Your CTA button should also feature simple, straight to the point language. Phrases such as; add to cart, buy now and add to basket usually do the trick! Including positive customer reviews on your product page can tilt the balance in your favour. This is due to the fact that as consumers, we like something which is referred to as ‘social proof’. Basically, we have much more confidence in a product if we know that other people have purchased the product and they were happy with it. You can include your customer views wherever you’d like on your product page. However, I would advise including your customer reviews below the fold. This is where you can include additional information about your product that goes beyond the initial product description. This way, people can easily access them should they wish to see reviews when deciding whether or not to purchase your product. Quick tip: Always encourage your existing customers to review your products or services. They are a great way to help increase your conversions. We’ve covered many important components of a product page that converts. So, as a quick reminder, I’ve listed the main things you need to remember when it comes to creating your next product page below. If your product page has all of the above, your on track to succeed! When is the Best Time to Post on Social Media? 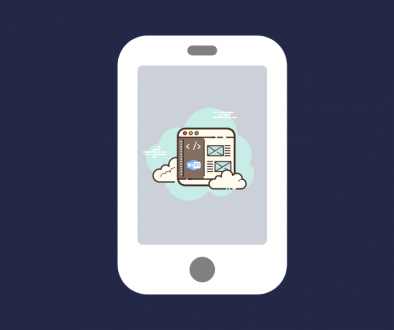 Mobile Apps and Web Apps – What’s the Difference?